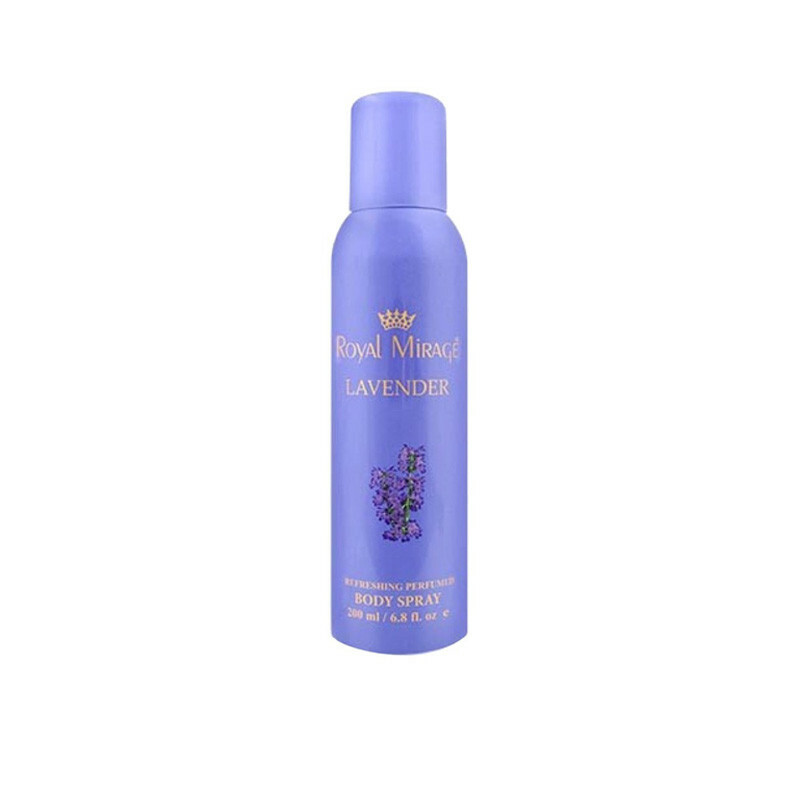 Royal Mirage Lavender Body Deodorant Spray give you beautiful fragrance for long time. Peaceful and sweet. Green fruits and sparkling bergamot top notes are bastioned by beautifully fragrant lavender and geranium extracts keeps you fresh, active till the end of the day and removes bacteria which causes sweat odor.